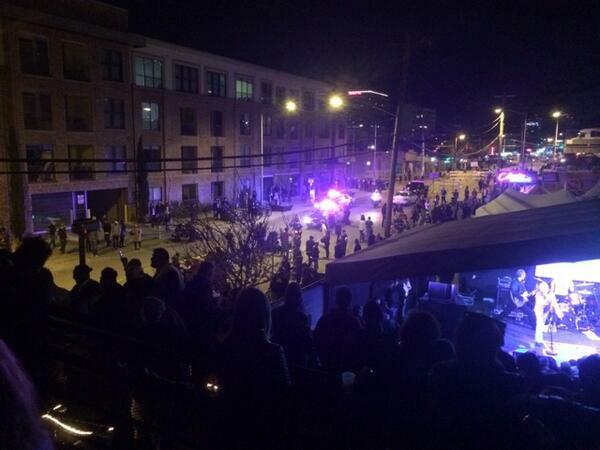 Reports are filtering in that a car has crashed into a crowd of people at the SXSW music conference and festival in Austin, Texas. According to theMusic.com.au’s eyewitness the incident happened outside The Mohawk on Red River St. A staff member of theMusic.com.au was inside when it happened. Although details are sparse, people were seen to be screaming and crying while the crowd inside the venue has been asked to remain inside. People appear to have blood on them. Police and emergency services are on the scene, with at least one individual being administred CPR. 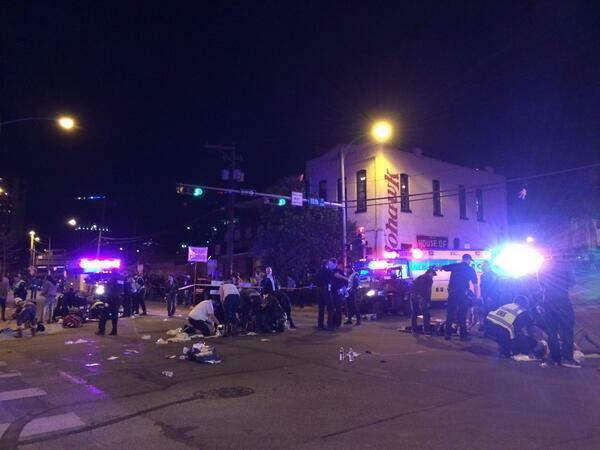 As many as 20 people could be injured in the incident. The has been no official word on the extent of injuries at this stage, but unconfirmed reports have suggested casualties. Security has acted fast to cordone off the area. There are 12 squad cars on the scene. The incident is believed to have happened around 12.30am Thursday morning local time, 4.30pm Thursday Australian east coast time. The area is being evacuated as at 12.55am local time, 4.55pm east coast Australian time.